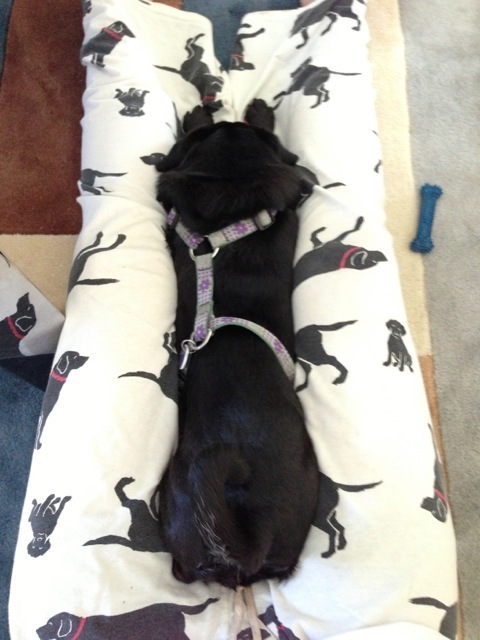 I always laugh (out loud) when people ask me what pugs “were bred to do”. Among the MANY kinds of dogs in the world, we have herding dogs, scenthounds, sighthounds, guard dogs, retrieving dogs … so many dogs with so many amazing abilities. Pugs, along with a few other fabulous breeds, were bred pretty much solely to be little companions and to keep their human’s lap warm. Yup. Lap dogs. Lola Pug does her ancient breed proud. If I’m going to be honest, she shows traits of all of the above mentioned dogs, but she is most at home when on her mama’s lap. So much at home, in fact, that we have taken to calling her “The Loaf” when she gets into Ultimate Lap Mode. I present the Evolution of the Loaf…. 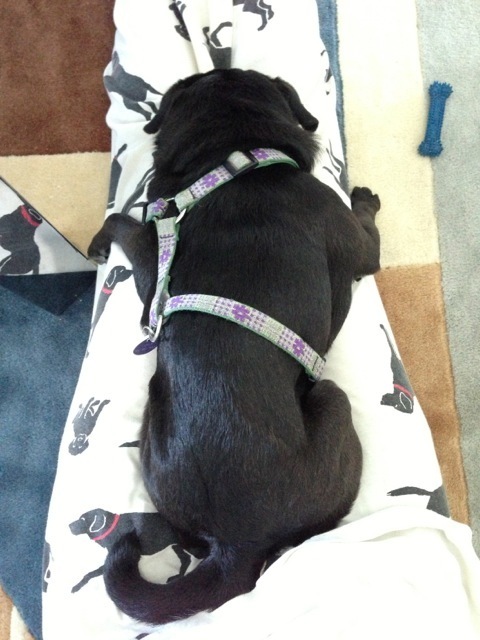 I don’t know why being aerodynamic plays such a huge role in her pug loaf pan comfort, but it’s all about what makes her happy, right? Thanks for the impromptu history lesson, Pug. You do the ancient Emperors proud, little one. This post just made my day so much better. And the fact that you have this filed under “slothpug” just added a cherry on the top. Thank you. Happy to have brought a smile to your day, Cat! The ugly truth is that this *should* be filed under SLOTH HUMAN, but I never get to approve the drafts before mama hits “Publish”. Imagine that. 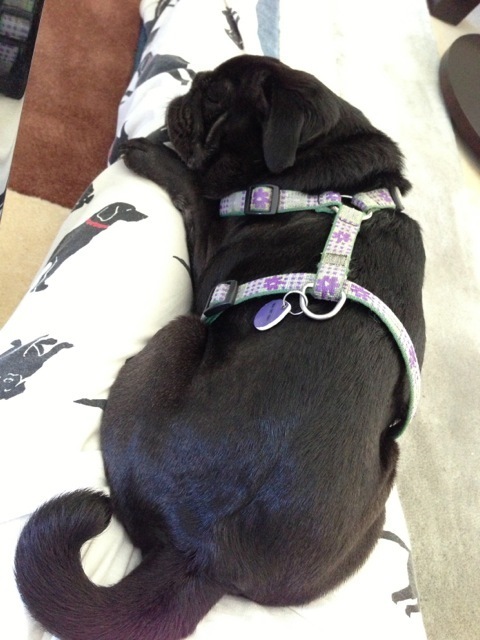 I have a pug loaf in the making on my lap right now Lola. You would have a double loaf, Christy lady! Do you have room for both loafs on your lap, or do they have to take turns? Pug loafs are the best. No calories! Mama’s always trying to nibble on my haunches, though, SFP. She’s kind of annoying.